From the paying attention department... 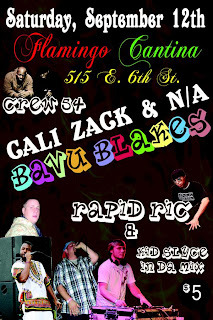 Crew 54, The GUUD and KB the Boo Bonic @ Beauty Bar tonight, Sept 28th! From the Lucky 13 department... Wow! Can't believe it's been 13 years. Props to DJ Mel for keeping our Mondays hip hopping all these years! 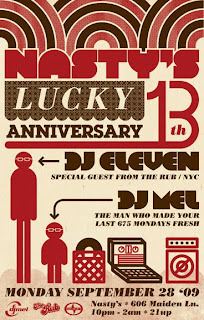 Celebrate with DJ Mel @ Nasty's tomorrow, Monday, Sept 28th! Man, I've been doing this weekly since the summer of 1996. Through the years, I've partnered up with some great dj's and I've seen the music, people & attitudes change. Those changes aside, one thing remains the same - this night has always been about having the best time ever. ON A MONDAY NIGHT. I pride myself in knowing that this night is for the people - it has nothing to do with cliques, class or race. I thank all the folks that come out week in and week out. Their support is steadfast. Monday is a hard sell. Which makes me appreciate those folks even more. So with all that said, we are finally throwing our first anniversary party. I've never been one to throw events like this, but I think this night & our people deserve it. It's only fitting that we bring my friend DJ Eleven into town to do his thing. Playing alongside the dude will be a pleasure. If you're around these parts, come out and support. It's gonna be a celebration! From the needs a break department... 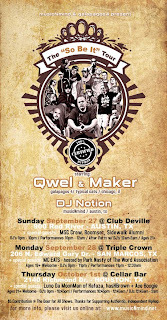 The "So Be It" Tour starring Qwel & Maker @ Club Deville tonight, Sept 27th with MSG Crew, Boomset, Sidewalk Alumni and DJ Notion! Qwel is an underground rapper, originally from Chicago, Illinois. 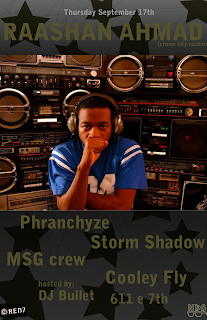 Qwel is also the co-founder of an underground rap crew called Typical Cats, with MC's Denizen Kane, and Qwazaar. Qwel has been featured on interviews and performances on UndergroundHipHop.com. Qwel has had collaboration projects with Maker, Jackson Jones, Meaty Ogre, Mike Gao, Silence, and Robust. His current label is Galapagos4 which was founded partially by Offwhyte. In hip-hop, there are those fine lines where keeping it real slips into ignorant folly and white rappers can only hope to hold their own next to their black counterparts. Well, South Austin’s COD aka Cash on Delivery is a multi-cultural group poised to obliterate those pre-conceived notions as they advance their own brand of hood rap to new heights of sophistication. Within city limits, it’s no surprise that COD’s S-Dot won lyricist of the year at 2009’s Austin Hip-Hop Awards show. Cleverly sidestepping the rhythmic cliché’s typically put forth by the brunt of Caucasoid rhymers, S-Dot bobs and weaves his way through lyrical gauntlets fit for only the most skilled of rappers. Along with fellow COD members Mr. Greezo, Tukdagat and Lil J, S-Dot leaves combustible flames in his wake throughout the group’s latest release titled Ova the Stove Volume 3. Primarily fueled by original production from the likes of Swollendrumz, and Mike Biggs, Ova the Stove Volume 3 is less a run-of-the-mill freestyle compilation and more of a fully realized album that just happens to be mixed by DJ Rapid Ric. Whereas songs including “Wheel Spin” and “In the Kitchen” stick close to formulas indicative of Dirty South origins, others such as “Colleyweed”, “Get Low” and “So High” sound more like compositions RZA would throw together drawing samples from Spaghetti Western soundtracks. Do overblown topics of drug sales and blatant consumerism permeate this project? Yes, they do. But COD not only expands the limits of the usual thematic repertoire, but somehow even manages to make the same-o sound interesting. COD show staples “Countdown to the $” and “Get Money Season” are not only overt and infectious, but inspiring to boot. There’s just this certain enthusiasm that COD lets bleed through every breath of their music that just can’t be denied. Around 9:00PM on any given Tuesday night, an open group of MC’s redefine free speech on the steps of the Capitol building. Unabridged, unabashed and unhinged, the Capitol City Cypher is all about rhyme skills, networking and perfecting the craft in a truly Austin environment. The Cypher is a place where any MC, established or not, can come test his mettle. The atmosphere is more supportive than many close-circuit cyphers that may be less open to outsiders – here, anyone is welcome and the only measure of a man is his mouth. Most hip hop heads consider freestyling a crucial part of one’s mic skills and an integral part of b-boy culture, something that Greg has been fascinated by since hip hop exploded in the early 80’s. From Long Island to NOLA and finally to Austin, Greg has seen many hip hop scenes flourish and is drawn to Austin’s unique style. “The cypher is definitely a democracy. There are no rules or regulations, we just started coming here [to the Capitol] and more and more rappers started showing up. Then we started getting crowds,” Greg says. Even though Austin is considered a music mecca, hip hop is often not given its place on the plate. That doesn’t stop these MC’s from infusing their craft with the same free-spirited energy that has made quality music synonymous with Austin. Austin has struggled to find a name and place for itself among the crowded local music scene, but the building they rap in front of isn’t the only piece of Renaissance Revival situated downtown. Stylistically the rhyming is coming from West Coast conscious hip hop more than the Dirty South that the region is known for, although each rapper is cultivating his own unique blend. It’s a place people can come and see some of their favorite local MC’s in a smaller setting, really doing their thing among peers. Touring emcees will drop on through and producers come by to feed some new beats to the hungry artists. The group is welcoming to bystanders and can’t help but draw a crowd. 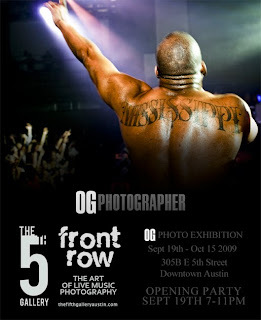 From the UT vs TX Tech craziness department... "Front Row" Music Photo Exhibition @ The 5th Gallery starting Sept 19th! "FRONT ROW" will be an art photography show celebrating live music and music festivals through the eyes of photographers. From the Kanye is a _____ department... Rashann Ahmad of Crown City Rockers @ Red 7 on Sept 17th with some Austin heavy weights, Phranchyze, Storm Shadow, MSG Crew, Cooley Fly, DJ Notion and DJ Bullet. Crown City Rockers are a five-member hip hop band from Oakland, California, by way of Boston, Massachusetts and Pasadena. 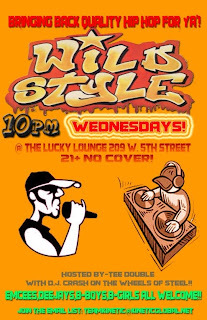 Formerly known as Mission:, they play old school inflected hip hop music with live instrumentation (similar to other hip hop groups like: Gym Class Heroes, The Roots, N.E.R.D, and Stetsasonic), citing influences such as: A Tribe Called Quest, The Roots, KRS-One and De La Soul. In July of 2009 the band announced the release date of its new album, The Day After Forever. It is set for release on September 29, 2009, in time for the band's appearance at the Treasure Island Music Festival in October. From the Labor Day rehab department... 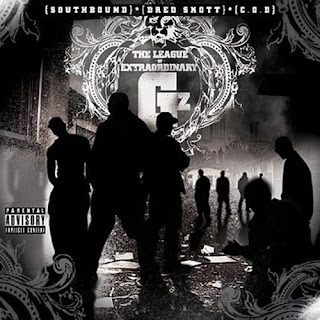 The League of Extraordinary G's is a group from Austin consisting of members from the groups Da C.O.D., Dred Skott and Southbound. Check out and download their new single!